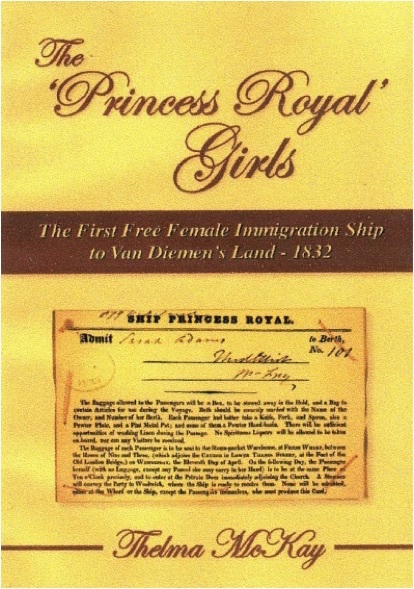 In April 1832 the first 200 free female settlers began their journey from London to Hobart Town aboard the ship Princess Royal. 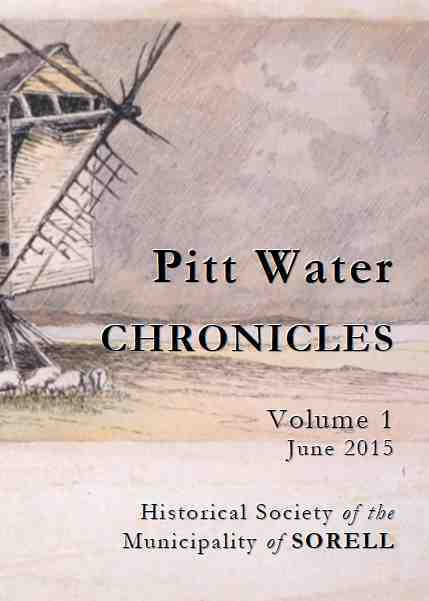 Four long months later, rough seas and strong winds off the south east coast of Van Diemens Land pummelled the ship. On 24 August 1832 local ferryman Ralph Dodge and others guided the ship to safety and with ‘4 bumps’ it ran aground on the mud flats near present day China Creek and Okines Beach at Lewisham/Dodges Ferry. The women stayed safely ashore in tents until 30 August, when they were taken to Hobart Town and later became servants or married local settlers or convicts, many eventually leaving for the mainland. 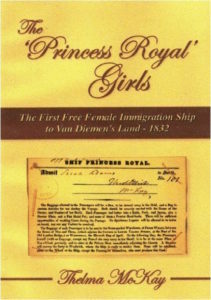 Reverend Charles Price and his wife Catherine were also onboard and Catherine’s diary records the journey and the dangerous circumstances of their arrival in the colony. 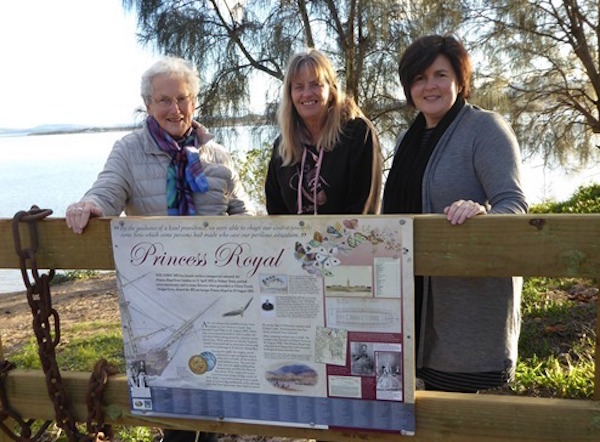 In 2016 members of the Southern Beaches Historical Society designed and installed a commemorative sign at Gary Street, Lewisham, on the foreshore looking across Frederick Henry Bay and the mudflats where the stricken ship came to rest. Judy Pearson, Moya Sharpe and Melinda Reed at the Princess Royal history sign, Lewisham, 24/8/2016. On 24 August 2017 Society members and local school students commemorated the 185th anniversary of the Princess Royal girls’ arrival in Van Diemens Land. Grade 4 students from Sorell School and Dodges Ferry Primary dressed in period costume and walked in the footsteps of the passengers and crew. 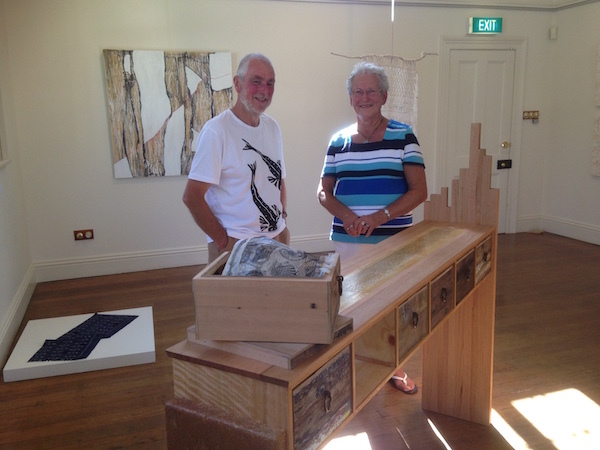 Each student represented one of the people on the ship and carried a box reminiscent of the ‘ditty boxes’ of belongings that the Princess Royal passengers and crew had on board and containing a keepsake or tool related to their journey. The students walked along the foreshore to Dodges Ferry Primary School and Okines Community Garden where they shared their stories and art work, lit a fire and had lunch together, learning about the days the women and girls had camped ashore before being taken to Hobart Town and their new lives in the colony. 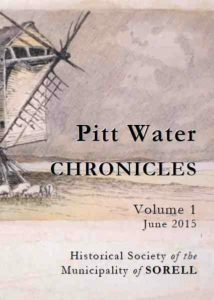 Further details on the Princess Royal and the first 200 free female settlers are documented in The ‘Princess Royal’ Girls by Thelma McKay (2007) and in Thelma’s overview of the Princess Royal story in the ‘Pitt Water Chronicles Vol 1’ published by the Sorell Historical Society in 2015.